Actor and comedian Jerry Seinfeld says the best way to ensure your kids turn out to be good adults is to set a good example. "Kids are not going to do what you tell them to do or think like you tell them to think," he explained in a recent interview with Parade Magazine. "Kids are watching how you deal with that waiter or that handyman, and they are probably more likely to imitate you." 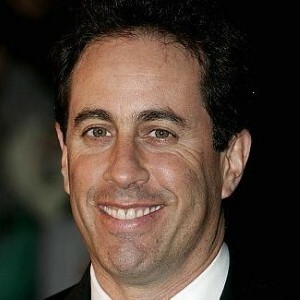 Seinfeld also told the magazine that he and wife Jessica have a set of parenting rules they swear by, known as the "poison Ps." The couple avoids giving their kids too much praise or pleasure and they prefer them to solve their own problems. "Problem-solving is the most important skill to develop for success in life, and we for some reason can’t stand it if our kids have a situation that they need to ‘fix.’ Let them struggle – it’s a gift," he said. The 55-year old comedian has been married to his wife for 10 years. They have three kids together – daughter Sascha is 9, and sons Julian and Shepherd are 6 and 4. "I love having a family and kids and all the madness. There is no aspect of it I don’t like. Even when it’s horrible, I love it. I didn’t realize how tired of single life I was and how ready I was for married life."